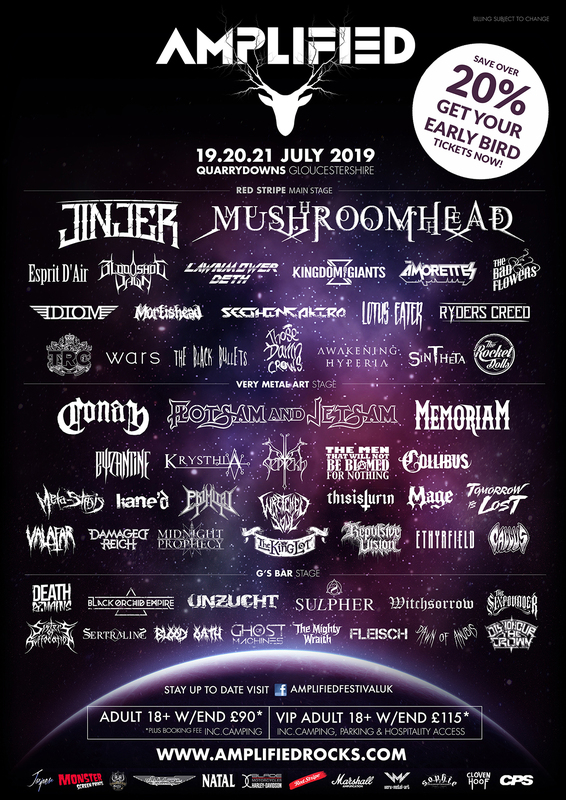 In 2009 Lawnmower Deth appeared for the first time at Download Festival, 10 years later and they’re playing at Amplified Festival for the first time. Kevin “KEV” Papworth, legendary guitarist and former member of Amplified Alumi Acid Reign, as well as, the aforementioned Lawnmower Deth, donated a guitar to a member of our team and in support of the Mental Health Foundation they’re donating it to us. To have every band playing over the weekend at next years festival sign the guitar. We’ll announce the winner at the end of the Sunday Headliner set and you can take it home with you first thing Monday morning. Simple. Buy an EARLY BIRD WEEKEND TICKET for Amplified Festival before 31st October 2018 and you’ll be entered. If you’ve already bought a ticket, don’t worry you’re already included in the draw. There’s nothing else to do.